NFL commissioner Roger Goodell expressed optimism as he addressed the media following the annual fall meetings in New York and gave an update Wednesday on a variety of topics the owners discussed over the past few days. 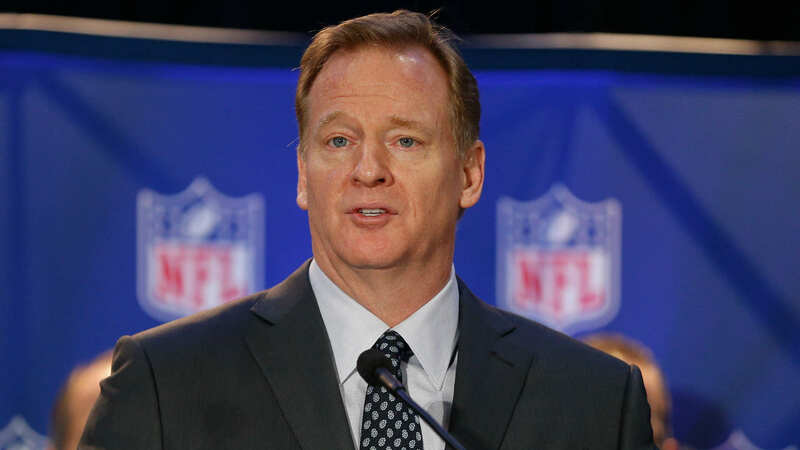 Goodell said the focus of the meeting was on the quality of the games and the competition itself, pointing to the accessibility of viewing games on more and more platforms and he said there has been a significant amount of growth and popularity for the sport. “I don’t think there has been a better time to be an NFL fan,” Goodell said. “The quality of the games and the enjoyment that comes with that, I hear it from the fans all the time — that is number one for them. Goodell addressed the national anthem policy, how the league will help the Chargers build a fan base in Los Angeles and increased ratings, among other topics. The commissioner said, however, the owners did not discuss where the Raiders will play in 2019 and didn’t provide an update on the future of the Seahawks following the death of owner Paul Allen. He did reveal the Seahawks have made plans, but they will be announced at the appropriate time. — The anthem policy has been on hold while talks with the NFL Players Association are ongoing, though Goodell said the league remains committed to addressing the social issues that are important to the players. “The focus of both the NFLPA and the NFL, the clubs and our players has been to focus on the effort of the players on the issues they have raised and how we can make their communities better. They are incredibly passionate about that,” Goodell said. “The players are out there as well, and we can see the tremendous work that they are doing. We have reported over the last two days on the tremendous work that is being done in that area. Most importantly, we talked about the impact that our clubs and players are having working to address these issues. That is where our focus is right now, as it should be. — Goodell said the league is continuing to make progress in helping the Chargers build a fan base in Los Angeles, but it will be something they work on over the next couple of years. — Goodell addressed ratings being higher than ever and credited it to how the media has changed the way fans can access games.